May 15, 2015 12:55 am. The W.S Cox Plate is considered the premier weight-for-age race in the world. Known colloquially as “the greatest two minutes in sports”, the Cox Plate is one of the most popular betting races in Australia. While the Winx factor has presented the illusion that the Cox Plate is an easy betting race, it is actually one of the hardest-to-predict events on the Australian Group 1 calendar. In 2018 the Cox Plate’s prize money was boosted to $5 million, making the already coveted title that much more enticing. Not only that, but the winner of the Cox Plate gains a ballot exemption entry into that year’s Group 1 Melbourne Cup. The Chris Waller-trained The Autumn Sun is the $6 favourite at online bookmaker BetEasy to win the 2019 Cox Plate. The colt is the only runner in single figures. The Cox Plate is one of the premier betting races of the Australian racing calendar and the bookmakers set their markets nice and early ahead of the Group 1 event. Take a look at the banners below to read our comprehensive reviews on our trusted bookmakers ahead of your wagers on the Cox Plate. Could Winx do what no other horse has ever done in Australian racing and win a fourth Cox Plate? Record crowds arrived at Moonee Valley to watch history and the mighty mare delivered in spades. In an eight-horse field, Winx jumped as a $1.22 favourite and was gunning for its 29th win on the trot. After a good jump and safe run three back and one wide, Winx hit the front at the beginning of the straight and never looked troubled, gliding through to its place in history. The 2017 edition of the Cox Plate was all about Winx and the mighty mare delivered. In a smaller than usual field saw Winx as the unbackable favourite, but fans of the champ would have had their hearts in their mouths as Humidor loomed up as the post approached. The Weir runner couldn’t cause the upset though, as Winx delivered the threepeat. The 2016 Cox Plate was billed as a glorified match race between Winx and Hartnell, but the British raider never stood a chance. The pair broke away from the field entering the straight but the Godolphin runner was no match for the Waller gun, who sailed away to record a commanding victory. Read full report. Almost unthinkable when you look at what was to come, but Winx came into her first Cox Plate running as a $4.50 hope. The mare had a decent run in transit but when the field shifted out the Waller runner hugged the rail and sprinted away from the field to record a four length win ahead of Irish superstar Highland Reel. Irish master trainer Aidan O’Brien had a number of near-misses in big Australian races, but that sequence snapped when Adelaide saluted in the Cox Plate. Adelaide had to do it the hard way, circling the field and nailing race favourite Fawkner right on the line to secure a history-defining win. The Cox Plate has plenty of amazing stories over its close to 100 years of history but few can boost the incredible story of Danny O’Brien-trained Shamus Award. The three-year-old claimed the Cox Plate as a maiden, the first horse to do so since the race’s inception. Shamus Award pinched a big break at the 200m but badly needed the line as Happy Trails stormed down the outside. Thankfully the post came as the three-year-old created history. The Cox Plate is Australia’s richest weight-for-age race with a current purse of AUD$5 million. The Group 1 is run over the unique distance of 2040 metres around a tight-turning Moonee Valley track in Melbourne, Victoria. The race is named in honour of W.S Cox, the Moonee Valley Racing Club’s founder, and between 1999-2005 the race was included in the Emirates World Series Racing Championship. This series included races from England, Japan, Dubai, Hong Kong, U.S.A, Canada, France and Ireland. The Cox Plate was first introduced in 1922 when it was won by Violoncello at odds of 2-1. In the early stages of the race, there were doubts about whether a younger horse could win (it is restricted to horses three-years-old and up), but the hot favourite Manfred won as a three-year-old in 1925 and it paved the way for many young champions to follow. The race is a part of the Melbourne Spring Carnival with it now including a two-day Moonee Valley card featuring a Friday night meeting with another Group 1 – The Manikato Stakes – which has been won by names like Hay List, Sunline and Lankan Rupee on the honour board. The Cox Plate is one of the main betting attractions for punters because of the favourite’s record in the race. 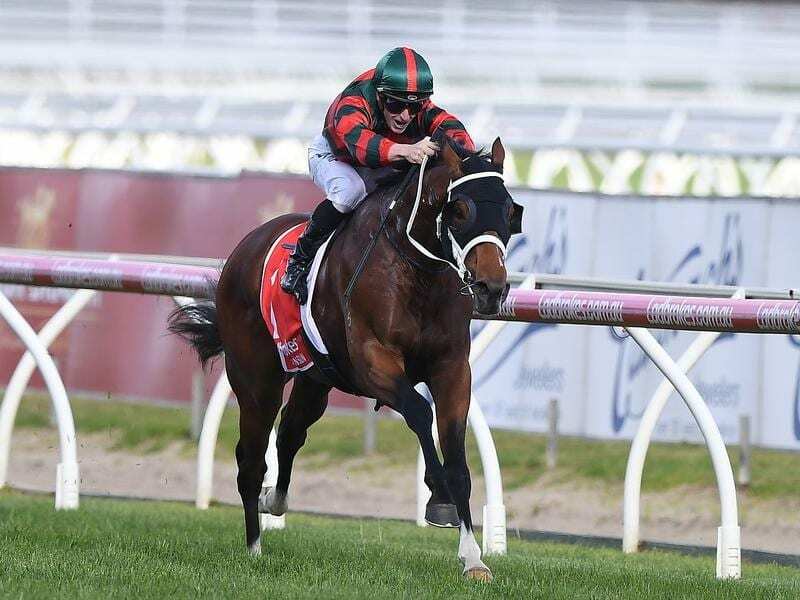 The bookmakers favourite for the Cox Plate has a 41 per cent win rate and favourites starting at less than $2 have an amazing 70 per cent winning strike rate. For any punter who likes to bet on even-money horses, or even blackjack and roulette players, then the Cox Plate is the best suited to that style. Phar Lap was the shortest priced winner in history — winning in 1931 at an unbackable price of $1.07. In 2016, champion mare Winx created history by winning the Cox Plate by a record eight lengths. The five-year-old was odds-on to win back-to-back Cox Plates. The Chris Waller-trained mare defeated a quality field which included Hartnell, Vadamos and Black Heart Bart, but its rivals were no match for the champion. Makybe Diva took out the 2005 Cox Plate en route to winning a third-straight Melbourne Cup. We have already stated just how well the favourites go in the Cox Plate, but how does that statistic stack up in recent history? In the last 20 years there have been five favourites win – which gives us a rate of 25 per cent. The most recent favourite to win was the Bart Cummings-trained So You Think in 2010. The globetrotting runner won at odds of $1.50, the shortest priced favourite since Tobin Breeze won and paid $1.17 in 1967. Australia’s own Makybe Diva paid even money ($2) to win in 2005, the same year it won its third and final Melbourne Cup. The Fred Kersley-trained Northerly was equal favourite with Lonhro at $4 in 2002 and it was Northerly that prevailed. Northerly also won in 2001 which will go down as one of the most controversial wins in Cox Plate history. The 2011 edition was seen as a race in three between Northerly, Viscount and Sunline, with the latter starting as the $2.75 favourite with bookmakers. Kiwi champion mare Sunline was seeking its third consecutive Cox Plate and it looked a likely outcome heading into the straight, but Northerly and Viscount came with their runs late with Northerly running in on both runners. The interference caused by Northerly prompted Sunline to shift out on Viscount and a three-way protest was underway. Connections of Sunline, which finished second, lodged a protest that Northerly caused interference in the concluding stages of the race, but that was countered with another protest by Viscount whose connections claimed that both Northerly and Sunline caused interference. Both inquires resulted in no change to the finishing order and in the process Sunline was denied becoming the first runner to win three consecutive Cox Plates since Kingston Town in 1982, but Northerly went on to win again the following year. Sunline won as favourite in 2000 at odds of $2.38 which came two years after Might And Power won paying $1.73. There have been plenty of long-shot winners in Cox Plate history with one of the most famous coming recently. The Danny O’Brien-trained Shamus Award entered the 2013 Cox Plate as a maiden runner, but the three-year-old blew past its rivals to win at odds of $19. Just two years earlier, the ill-fated Pinker Pinker caused a massive boil-over when winning at $24, just a year after So You Think won paying $1.50. So You Think’s first Cox Plate win came in 2009 when it paid a handsome $11 and Maldivian won at $9 in 2008. One of the more popular wins came in 2006 when nine-year-old Fields Of Omagh scored its second Cox Plate win with plenty of punters getting on at $15 for the win. The biggest long shot in recent history was when Dane Ripper won in 1997. The Bart Cummings-trained filly was partnered by jockey Damien Oliver and paid a whopping $39. The favourite was Filante at $2.38 which finished in second position. Some future champions of the track have paid good prices in the Cox Plate. Super Impose and Kiwi gelding Surfers Paradise both paid double-figure odds which ended a long drought of long shot winners. Surfers Paradise won in 1991 which was the first long shot winner since Family Of Man which won in 1977. In the complete history of the Cox Plate, $49 was the most paid by any winner. This was shared by both Mosaic in 1939 and Leonard in 1946.